Most of us have one standard go-to style when it comes to our taste in home design and decorating. This is what the dominant look and feel of our home would be to a visitor who first enters, and looks around the common spaces and living areas. For some homeowners, their usual style may tend to fall under the heading of refined and understated. Others may try to play it relatively safe, avoiding anything too trendy. Still, they may long to show off something more exciting or cutting-edge, adding a dash of bold color or a more interesting style arrangement. A home addition can be the perfect place to express this creativity. 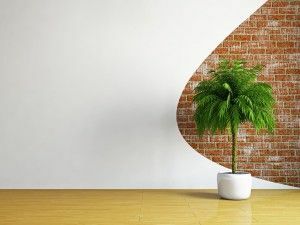 While a lot of unique elements or trendy details may be overwhelming or seem out of place in the living room or other main parts of the house, an addition is sort of an extra, fun space. It can often be viewed as a bonus room, so a fun and lighthearted touch is often just right for this space. This is especially true if the room has a casual purpose, such as being created as a gaming hangout or a media room. If you are eager to have the opportunity to inject a little extra touch of creativity and personality to your home, RW Remodeling can suggest some ideas for Arizona room additions that would help you express your vision.